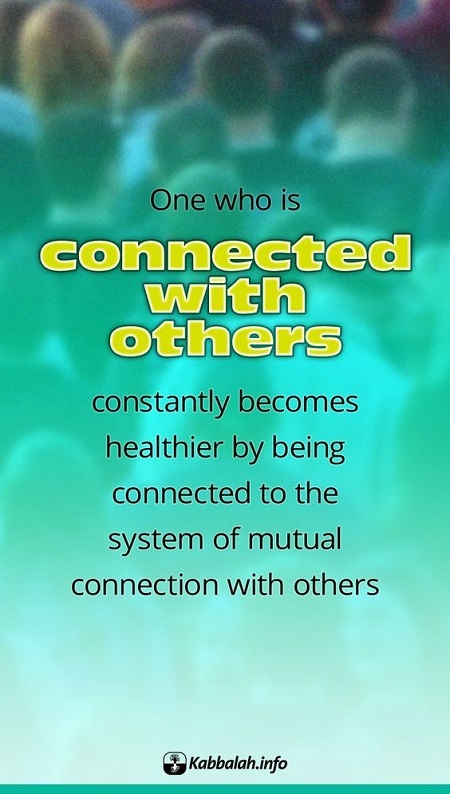 One who is connected with others constantly becomes healthier by being connected to the system of mutual connection with others. We must understand that the connection between us is the only thing that needs to be corrected. Every illness in a body arises only from the lack of the right connection. There is nothing to correct in a person himself, but he must install an anti-egoistic Screen and the Returning Light on his desire in order to properly connect with the other parts. The only reason for weakness and disorder is the lack of the proper connection between the parts of the whole, starting from the larger parts down to microscopic molecules.